Train starts from a source place to its destination where it arrives. While travelling, it goes through various stations. However, knowing the exact location of the train in between the source and destination, exact timing of its arrival or departure is called the running status of the train. In a country where more than 20 million people travel everyday by train, it is important to know the train status of the running train. There are various ways to know the status of the train. It can be online, mobile SMS, enquiring at the counter, making phone calls provided by Indian Railway, using private websites of some travel agency or it can done be by using Railradar App. It is also appropriate to update the passengers by social media about the status of the running train. The various websites of Indian Railways such as irctc, erail, TrainEnquiry, indianrailway can be used to know the status of it. However, this is only good for the netizens and not possible for those who travel by train. With the help of telephone numbers such as 139, 131, 1330,1332,13355 etc. it is possible to know the status. But it is seen most of the times, the numbers are engaged with customers because of heavy traffic. When connected can give the status such as arrival, departure, late or right time of the train. To know the running status, one can take the help of Enquiry at every railway station, which gives the accurate information of it. But because of the long queue, passengers hesitate to take the help of it. Apart from various SMS like 139 or 131 services to know the running status, SMS Gateway is also developed by Indian Railways to update the running status of the trains. Once the mobile number is provided, the app automatically provides the status to the passengers. As Rail itself provides the update, one does not have to depend upon individual vendors. It is helpful because low chance of failure. It is easier to know the train status by the app introduced by showing the train moving in political map of India. This can indicate the timing and details about the running train. It is always seen exact without any wrong information though sometimes shown as 5 minutes delayed. It is the fastest app giving the valid information. With facility of providing Wi-Fi connection in some trains, it has become much easier to know the current status of the train. Lots of suggestions are coming up to get the updates about the status of the train via social media. This is going to bring a revolution in Indian Railway if updated likewise. With the growing need of the passengers, India Rail is becoming more mobile-friendly these days. There are multiple ways to know the running status of Indian trains nowadays. In the days to come, more advancement is expected. Track a train online is one of the best ways to check out current information of specific train. 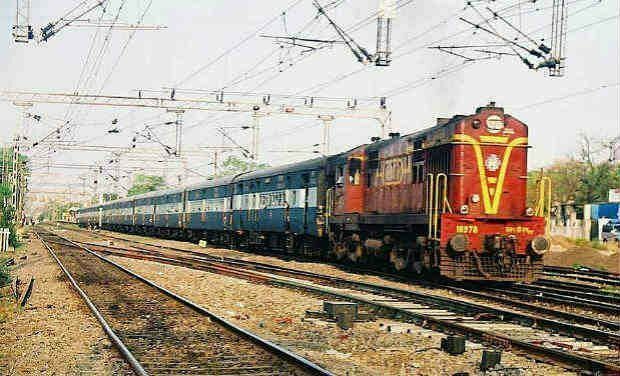 Now a days, many portals are available through which you can check train rated information like train time table, track train, check pnr status and seat availability online. 1. First download the app or visit the website. 2. Enter your train name or number e.g. Kashi Express 15017. 3. Now, it will ask you to select travelling date. 4. One it is done, press on button that will let you know about running status of train. Moreover, it will fetch all the details of train including overall distance, total travelling time, train arrival & departure time and also know if train is running as per the time table or not. In case if train is delayed, you will be updated with ETD and ETA. ETA means train expected time to reach on upcoming station while ETD means train expected time of departure from upcoming halts.